This comprehensive guide will model how to sell your house fast in Phoenix. Here, we will go over strategies for pricing. 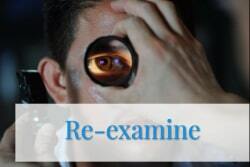 Then we’ll discuss why to have your home pre-inspected and when to have an appraisal done. We even go over how to sell your house fast in Phoenix by owner. We will dig into google search trends and see how buyers are going about their online real estate research. Find out how to avoid leaving your equity behind. 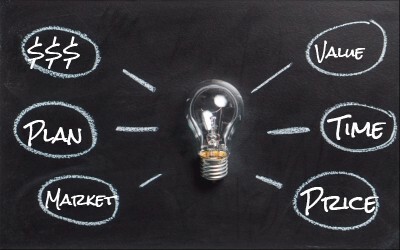 The key is knowing the true value of your home prior to marketing your home. If you are wondering what the maximum money your home might fetch in today’s Phoenix real estate market, call 1-480-442-3501 or use our instant home value calculator. It only takes 15 seconds. We will follow up with you once you receive your estimate. 💰 I Picked the Price, Now What? 🔆 How to Sell a House with Solar Panels? Price matters when trying to sell your house fast in Phoenix. “Testing the market” with a high price is for amateurs who don’t really care if their house sells. Overpricing almost always ads unnecessary time to getting a home sold. Furthermore, overpricing drives down the ultimate sales price. That’s because the buyers interested in your neighborhood notice everything about your house straight away. They see the photos, they know if it’s on a corner, or if it is across from a park. Guess what? They also know about all of the other homes in the neighborhood. Buyers are comparing all the details all the time. After looking at dozens of homes people become very tuned in to value. They can easily tell if a home is 15,000 overpriced or $10,000 underpriced. So what do you think runs through their mind when that educated buyer sees that you are trying to get them to pay several thousands of dollars over market value? 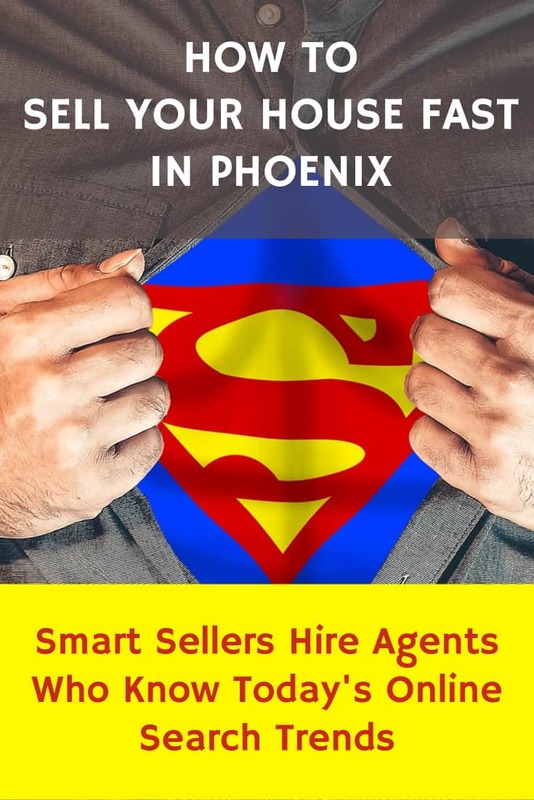 Will that help you sell your house fast in Phoenix? Maybe you are thinking that they will make an offer to sell your house fast in Phoenix and then you can negotiate a fair price. Sometimes that does happen. More often than not, that buyer doesn’t want to offend you. They may figure that you aren’t in touch with reality and the last thing they want to do is put a bee in your bonnet. So they move on. They buy the house around the corner after being on the market for less than a week! Your house has been for sale for over 7 weeks now. You know that the buyer ended up with the lesser of the two homes. Reality sets in. Finally, you see that it was all about the price. You take action. Finally, you get the home priced to market. You wonder why another 2 weeks have gone by and no one has even looked at your house. At least you had a few lookers see your house during the first 3 weeks. Frustrated, you lower the price again. You don’t know it, but buyers agents are skipping your house due to the number of days on market. They figure something must be wrong if it hasn’t sold yet. 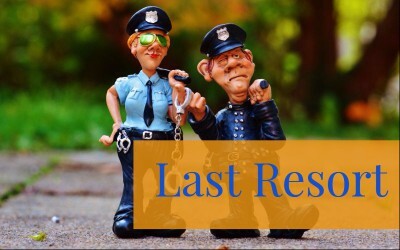 The National Association of Realtors © reports that 87% of all agents leave the business in less than 5 years. Most leave well before that. It’s an easy business to get into and may flock to it for that so-called easy money. Then they leave when they only sell 4-5 homes a year and realize they cannot live on that. Hire an agent with experience and history. Hire someone who you feel confident about. Read reviews on them. Ask them how they would market your home to sell your house fast in Phoenix. When you select the agent make sure you are choosing someone you are confident and comfortable with. You will be working together on something very important. You will want to work with a person who has a personality that you can get along with. Making this decision is equally as important as pricing the home properly. Choosing the right agent is easy. It’s also true that choosing the wrong agent is easy too. Do your homework. Select wisely. Next, we will look at how to price your home to sell your house fast in Phoenix. Narrow down the list by eliminated homes much smaller or larger than yours. Now start to give weight to features that set the homes apart. 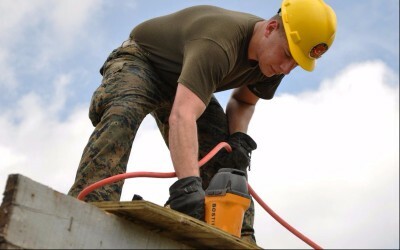 Any major remodel work, roof replacement, mechanical equipment differences. Look closely at the prices of the homes that have sold. Look at the homes that have gone under contract and are pending. Compare these to your home. From a computer, look at the Active listings very carefully. *Note: while no two homes are exactly alike, we do want to make comparisons of homes similar in size. You want the buyers who are looking to buy a house like yours. Ask your agent to take you to the active listings. There’s nothing like seeing the competition in person. To sell your house fast in Phoenix ideally, price your home just a touch lower than the most attractive home you are competing with. Buy now you should have enough facts to make a good pricing decision. If there are not enough similar homes then you may want the guidance of an appraisal. A good appraisal will typically run between $400 – $1,000 depending on the size and uniqueness of your property. At the end of the day, the goal remains the same. You want to walk away with as many dollars as possible and you want to sell your house fast in Phoenix. If your goal is to sell your house fast in Phoenix you definitely do not want to leave your hard-earned equity on the table. 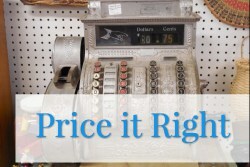 Even more important than the price is the pricing strategy. You need to have a plan if multiple offers come in during the first few days. Conversely, you need to pre-decide what you are going to do if traffic is low for your house and homes all around you are selling. If your home is presented properly, advertised right, and in a clean condition, you don’t have to lay awake at night worrying about what the problem is. It’s the price. If you don’t have at least 3-4 people looking at your home in a week then that is a sign. Furthermore, if there are no offers in the first week to ten days, it’s the price. Pricing real estate to sell isn’t complicated at all. If everything is right, and the home isn’t selling then a price change is in order. 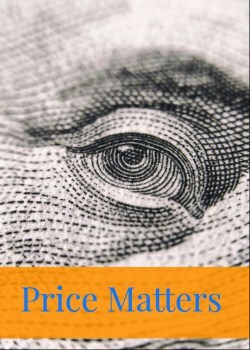 Really understanding prices is one of the most important insights a top agent can provide in selling your house. What is a Good Number for Pricing? People tend to shop in $25,000 increments. Buyers don’t tell their agents to find them a house priced from 413,873 – $447,333. They don’t do that. What they do is tell their agent to find them a house between $400,000 – $450,000. So, the best practice is to price your home right up against the high side of that $25,000 increment. So if your home is worth $425,000 price it at $424,900. That way people shopping up to $425,000 will see it. The worst price for our example would be something like $426,000. That price leaves out all of those buyers who have their agent looking for a home priced below $425K. At $426,000 it is virtually invisible to that buyer and provides no help to sell your house fast in Phoenix. As you can see pricing is easy to screw up. When selling your house, it’s not enough to just list your home and wait for buyers to come knocking with offers. It’s important that your house look the part during house opens and showings. Try the following tips for dressing or staging your house for success and a fast sale. Curb appeal is the primary tool you ought to use to lure in onlookers and sell your house fast in Phoenix. Why? It has been documented that most potential buyers do a speedy drive-by initially to ascertain the location appeal of the house. 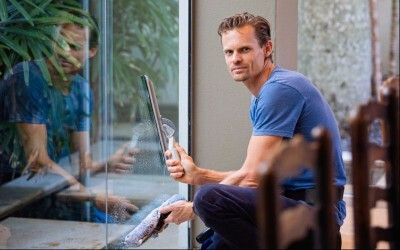 Make sure that the front windows are clean and looking fabulous. Let potential buyers fall in love with your home right from the outset. From polished windows and shining floors to scrubbed grout and sparkling countertops, every nook and cranny of your home should look fantastic. This is perhaps the most important way to put your best foot forward and make a lasting impression. Even better, you can bring in a professional to do a bang-up job. Are you a packrat? A bit messy? Time to get over it. Think of the stuff as a blockade to the best price you can get. Think of it that way because it is the total truth. The last thing you want is to get beaten down in price over some dirty laundry. Clear the way from all the clutter – toys, extra vacuums, trinkets, shoes, and so forth. It might take lots of your time and effort, but it will be worth it. Perhaps you can haul them to a trusted friend’s or relative’s place or even rent a storage unit. One of the best solutions to this problem and to sell your house fast in Phoenix is to hire a professional. 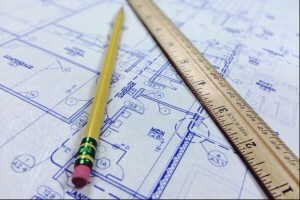 Chances are that they will make your overwhelming project seem simple. It is very likely that they will do in hours what you would never have been able to tackle in a week. One of the best ways to dress your house is to give it a fresh coat of paint. It’ll not only create an impression that you’re organized but add a flare of style, elegance, and functionality to your home. Stay away from loud colors and go neutral. People looking at your home will be trying to match their furniture with the color of the paint. To sell your house fast in Phoenix you want your painted wall colors to match their furniture. While it’s important to clear out the clutter, you want to strike a deeper and healthy balance between “lived-in” and clean. Bring in your favorite potted plants and flowers. Even better, place some fresh groceries in your kitchen. It will make your buyers feel at home already. Naturally, you ought to spruce up what your neighborhood is popular for. After all, the buyer would have taken location into consideration before paying a visit. 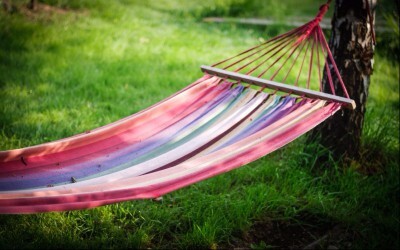 If your house is tucked away in a leafy suburb, try hanging a hammock; it’ll give your house that luxurious touch your buyers are looking for. Everyone loves the idea of coming home to a relaxing place. This will help the wheels start turning as soon as they lay their beady little eyes on it. Looking to sell your house fast in Phoenix and at a decent price by taking advantage of the color factor? If yes, then you are in good company. 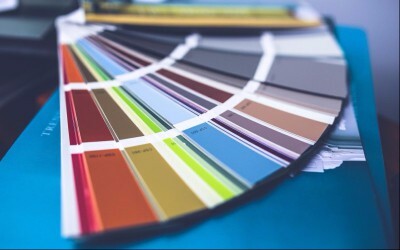 Consider the following color tips to move your house off the market like a hot cake. It pays to take light – both its absence and presence – in the space you intend to give a color coat. It’s no secret that lighting can dramatically upset the way a color looks on your wall. Spaces that receive a huge amount of sunshine will certainly appear different from those that are lighted up by fluorescent bulbs. Test the color first before you paint; it’ll save you lots of headaches. It’s a no-brainer that a coat color should complement the fixed materials in a space – from upholstery, flooring, countertops to wood finishes and everything in between. While you might want the color to stand out in a room, you don’t want these materials to look unsightly. Here’s something that most sellers don’t know: every color coat has undertones that are obscure. All gray colors, for instance, have a tint to them – be it green, blue or even yellow! That’s why it’s important to be careful when picking colors to make sure that you don’t bring out eyesore undertones. Pit matte vs semi-gloss paints for the best results. While high-gloss paints tend to be easier to clean and more durable, they are not good at concealing eyesore imperfections on the wall. On its side, matte paints are cheaper but won’t last long. Use warmer colors to make your rooms appear bigger and vice versa. Don’t hesitate to use bold or dark tones in small spaces. Avoid white if possible. Use relaxing and calming colors in bedrooms and energetic tones in the gym or kitchen. It’s always recommended that you blend neutral colors and warm colors in your interior space. Bold buyers can put off some buyers. For the trim and ceiling, white will do just fine. 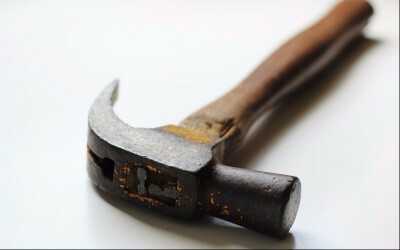 If your home needs work – the house with timeworn shingles, unsightly backyard, old floors, and what not, it can prove an uphill task putting it on sale without spending oodles of money on an array of elaborate repairs. But let’s be honest, not every homeowner has the time, not to mention money to execute these fancy upgrades. Lucky for you, here are some tips that can help you sell your house fast in Phoenix that needs work for a reasonable price without making huge renovations. You don’t need to break the bank to make major renovations. 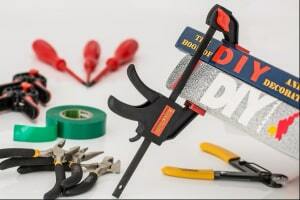 It’s well documented that buyers typically spend twice more on repairs than would a seller. Focus on smaller upgrades that’ll catch the eye of the buyer. Replacing the knobs on your cabinetry or replacing grout, for example, can work wonders. Other small fixes you can do include treating stains in your carpet, landscaping, thorough cleaning of stained toilets and tubs, patching holes, fixing leaky plumbing, and so forth. Cleaning your yard can help you give the buyer a fantastic first impression of your house. It shouldn’t be a complete overhaul; just clear the weeds, plant a few pots of flowers, mow the lawn, and so on. It’s also crucial that you remove all the clutter in your home. The impression you want your buyers to get is that of an attractive and functional house. Do a bang-up vacuuming job, clear the dishes from the sink, unclutter the bathroom ….you catch my drift? As you might already know, flippers look to buy your house at a low price, fix it up, and putting it back on the market at a better price. The last thing you want, however, is to fall for fly-by-night flippers who intend to milk you dry. That’s why it’s important to have a realtor value your home first so you can get top-dollar from remodelers and flippers. If you want a super fast sale I can make that happen. 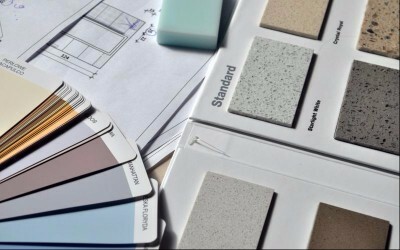 We know several home renovators who would love to have another home in their pipeline. typically these sales are not as far below market value as one thinks. renovators have to compete for property too. The smart ones recognize a good project when they see it and will pay a good price. Start off by organizing your storage space. They probably don’t care about all the china you’ve amassed over the years. Get rid of all the trinkets, old carpets, computers, and other items that occupy big spaces. It’s estimated that 80% of home buyers catch a glimpse of these storage spaces during a showing. Putting a fixer-upper on the market isn’t about getting the market value. If the price isn’t forthcoming, considering slicing it down. If it is in need of repairs buyers will notice that. They’ll expect that the property is priced accordingly. Without the right price you will never be able to sell your house fast in Phoenix or anywhere else where buyers are paying attention. In today’s online world home valuations are so accessible. It’s really counter-productive to overprice a home these days. Agents who do so really don’t know how to sell your house fast in Phoenix. Just remember that nearly 30% of the homes listed in Greater Phoenix don’t sell. It’s really important to nail the price right out of the gate. Doing that right will create interest, competition, and quick offers that may have buyers fighting for the right to get your house. Prior to the housing markets meltdown of 2006-2010, homeowners enjoyed fantastic home values. In fact, selling a house was a walk in the park. Unfortunately, the housing crash, as well as unfavorable interest rates, has made selling a house in certain markets painfully slow. Which begs the question: how can you maximize the chances of a sale in a slow market? Hint: keep reading. Let’s face it; selling a house at its highest valuation will not land you the best buyer. That’s right; the price in a slow market is more important than you think. 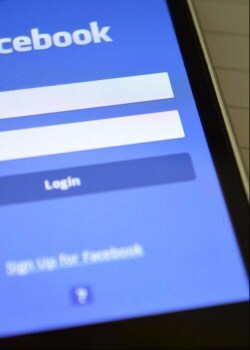 So do a little homework and check out how much your competitors are selling for. And, trust me; your best bet is to undercut them. In practice, having a lower price makes your home appear a better bargain. Here’s no-brainer advice that can help you sell your house like a hot cake. Ensure that the rooms are in their best state; clear all the dishes from the sink, unclutter the bathrooms, and stay on top of the vacuuming. The bottom-line is to paint your home in good light. 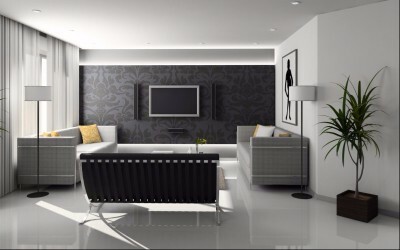 Buyers should get the impression that your home is elegant and functional. It’s no big secret that certain features stand out in a house. If you’ve a snazzy kitchen, for instance, have some savory delicacies baking in the oven. Don’t underestimate the value of your lighting. If your house features a fireplace, get it crackling; it’ll add the touch of elegance, style, and dazzle to your home. While bringing down the asking price can attract a sizeable number of buyers; adjusting the terms of sale is poised to work like a charm. In many cases, buyers are quite able to make the house payment, and short of the cash they need to close. Coming up with creative terms can mean the difference between selling or not. It might seem intuitive to turn down the first few offers in a bid to hold out for a better price. More often than not, however, this is a huge blooper. Unless the offer is ridiculously low, give it a go. After all, sell your house fast in Phoenix in a slow market is already difficult, if not daunting. In such times, selling a home can take time; be patient and keep your chin up. Remember that slogan: “never let em see ya sweat” That is certainly good advice when it comes to real estate transactions. 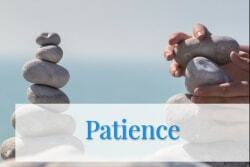 The more patient you are the more likely you will land on the winning side of the fence. If your house doesn’t move in a long time, it probably boils down to the price. Keep a tab on the market changes, and ensure that your price is always attractive. Ask your agent to generate a new market analysis if the property is not moving. This goes double if you are not getting people to stop by and look. When it comes to selling your home, it’s always about having an ideal location, price, features, and the condition of your house. 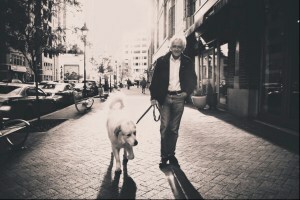 But did you know that having pets can make things a little harder when you are trying to move your home off the market? While selling a home where pets live isn’t exactly rocket science, the following nifty tips and ideas can help you do it faster and at a favorable price. 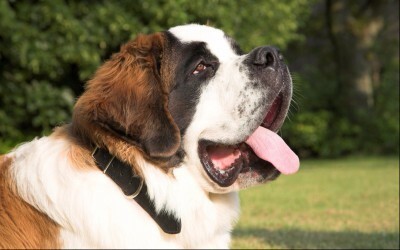 As a good pet owner, it can be a little daunting to let your beloved dog or cat live away from your home. However, if this is something you are willing to do; it can do wonders for your show-and-sell strategy. Pick a friend or relative you trust with your pets to take care of them. This way, you can rid your house of any signs of pet ownership (and keep it clean). After all, not every potential homeowner is fond of dogs or cats. Again, some homeowners consider a cat or dog a big turn off. The last thing you want is to dissuade a potential buyer because of a trivial thing as pet ownership. This tip is excellent if you are not willing to relocate your pets temporarily. It’s crucial, however, that you clean the house thoroughly, getting rid of all the odors and smells. Did you know that there are more than a whopping 4.7 dog bite cases reported in America each year? That should be a big wake-up call for you. Scrutinize your pet insurance to see to it that it covers such incidents; otherwise, you will be looking at lawsuit that’ll set you back more than $30000. Here’s the thing: most pet owners don’t care what their dogs or cats do at the backyard. Messes or damages to the backyard can be a huge eyesore that can chase away many potential buyers. Pets can make unsightly damages to your cabinetry, furniture, walls, and so forth. Making sure that all these damages are repaired timely is your best bet at a faster sell. As a pet owner, you might not realize that your home is stinking, but someone else might. 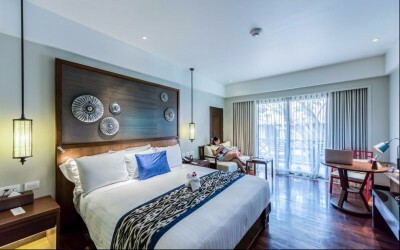 For best results, it’s crucial to enlist the services of a professional cleaner who’ll ensure that all the nooks and crannies are taken care of. There you are – a few top tips on how to sell your house when you have a pet. It’s also paramount that you talk to an expert to help you with pet anxiety and stress associated with the move. Helping our beloved pets have a smooth transition is not complicated. It is, however, easily overlooked if you don’t take precautions up front. Doing so will likely lead to sell your house fast in Phoenix at a higher price. It’s one of those no-brainers. Just do it. 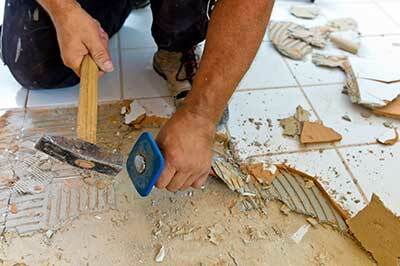 Unpermitted work can considerably reduce your chances of selling a house at a good price. This is because few lenders will be willing to finance acquisition of such a property. Tightened lending rules have made banks shy away from such properties because of the uncertainty associated with work that has not been consented to. While these unpermitted works are done to add value and functionality to a house, they have the potential to lower your selling price by a big percentage. The first step in correcting this problem is contacting the local city permit department to make an assessment on the extent of unpermitted work. Some of the unpermitted work could have interfered with adjoining structures. An extensive report will show any unpermitted work so that you are able to work on it before trying to sell. The next step is getting an architect to advice on what needs to be done without having to change the existing structures by much. This is crucial as trying to correct unpermitted work without expert input will lead to more of the same problem. The changes to be done could cost a few hundred dollars or thousands depending on the extent of the work. After completing the remedies, the next step will be contacting the building permit department to do an inspection. It is better to use the contractor to get the clearance as many contractors know their way in the building regulation department. Getting the clearance report is crucial as the bank will need it to show security of the property. This is where you seek a permit from the city to have the house remain as it is. This will be allowed if an inspection deems the unpermitted works do not pose a danger. You can search the council records to check if there was a permit required for that type of work. If there a permit type for it, seek a retroactive permit. While it is highly desirable to obtain a permit from the council, you could also opt not to disclose this information that could trigger an inspection from the council. Look for an experienced realtor and disclose the unpermitted works. An experienced realtor will be in the know of the unpermitted works that need a permit and disclosure, and which are ok as they are. If the buyer is not relying on lending, the sale will not be problematic. If a lender is involved, there is no way around regularizing the unpermitted works. Even if your house has foundation problems, you can still sell it. More and more people are getting home inspection services to inspect a house before buying or listing, which is actually a good decision. You will know the extent of damage and do the necessary repairs. If your house does have foundation issues, it’s always best to have the foundation inspected and fixed earlier than later. Waiting too long will only lead to more costly repairs. How Do You Know If Your House Has Foundation Problems? The weight of the foundation and the soil or dirt composition around it can cause the foundation to settle a few inches, but it’s usually normal. This common settling results in small cracks noticeable in the garage concrete, the basement floors and foundation walls. If the settlement cracks start to widen over time or the foundation or basement walls start to show signs of bowing inward or leaning, you should call a structural engineer to have your foundation inspected. Water leakage through the wall and broken or cracked blocks are other signs you should watch out for. To Sell your house fast in Phoenix it is best that you disclose the foundation problems and price your house accordingly. If foundation problems are exposed during a home inspection, potential buyers will think about what else is wrong or hasn’t been revealed about the home and most likely not buy it. 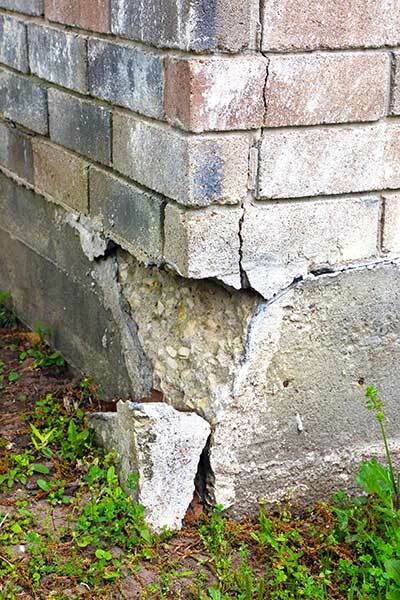 Unfixed foundation problems are a major factor in the security of a property. If you reveal all foundation problems and price your property accordingly, someone will purchase it and fix the problems on their own. Failure to reveal known foundation problems can lead to a lawsuit once the buyer discovers the issues. You may be forced by the court to take back your property and return the money to the buyer. Aside from this, you may also be required to pay punitive damages for your failure to reveal foundation problems. Alternatively, you may be required to pay the buyer for the costs to fix foundation problems and also pay punitive damages to the buyer. The best way to avoid this is to reveal any foundation concerns to potential buyers. You can also fix the problems if you have the means to do it. If buyers know that foundation problems have been properly fixed, they will be more willing to consider your property. You will also be able to get a better price as your home is already fixed and doesn’t have any problems. Selling your house as-is with foundation problem will limit your chances of getting a good price. Remember that you can still sell your home even if it has foundation issues. If you think your home may have foundation problems, you should hire a structural engineer to discover what needs to be fixed. Once the repair work is done, you can get a lifetime transferable warranty for your home to boost its chances of getting sold. If you decide to sell your property as-is, just make sure to reveal the state of your home and price it accordingly. 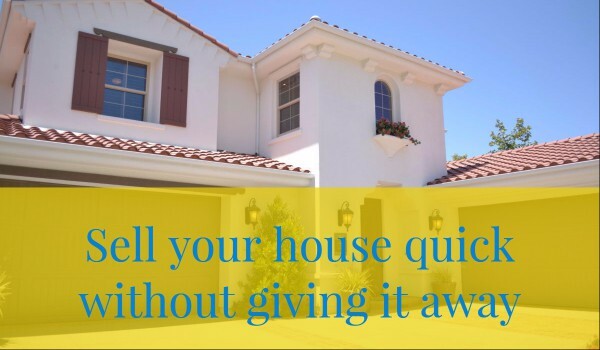 Selling your house fast in Phoenix while you know that someone out there in the neighborhood hates silence can be tricky. But, there are some things that you can do so as to make your house sold and get a truly interested home buyer. Home sellers are responsible for disclosing to the buyer those adverse conditions which might materially impact the value of the house. Naturally, sellers become hesitant to face this obligation out of the fear that it will drive the buyer away. On the other hand, failing to disclose might end up to court & big amounts of cash to be paid. 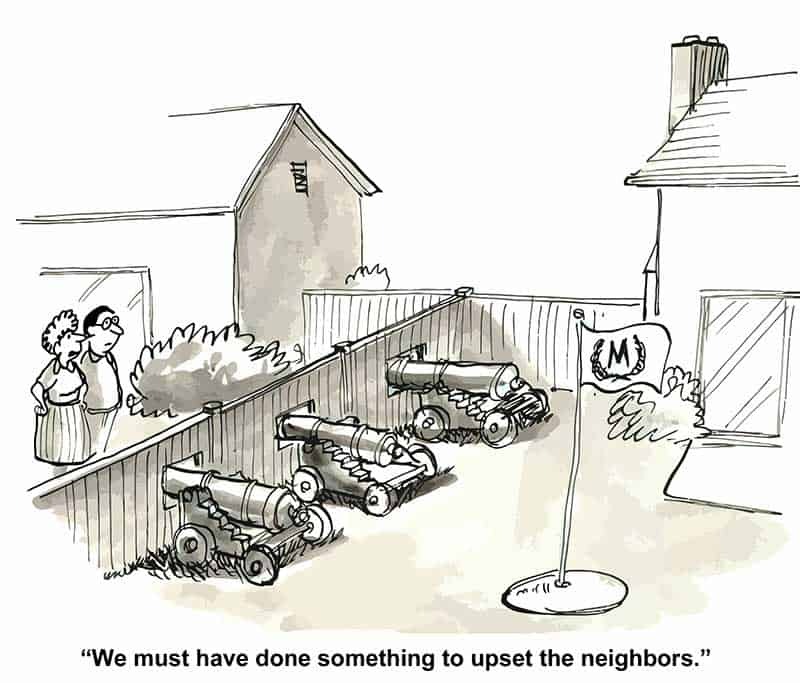 If the neighbors are creating a nuisance, you’re most likely obliged to have it disclosed. 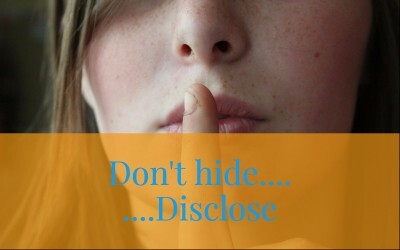 Your realtor is an expert on the disclosure policies within your area, so you should never hesitate to inquire. So when you still have any problem with noisy neighbors and you do not feel that you have to disclose that, keep in mind that a court case can be filed against you in case you failed to have this issue settled before selling your house. There are times when the arguments turned to be so heated that the home seller was obliged to get help from the police. After the homebuyer moved to the home, the person can also experience the same problem with the previous owner of the house. The buyer may ask for legal assistance and may win the rescission of the house sale, attorney’s fees, court costs and damages. The most typical dispute amongst neighbors has something to do with the noise. 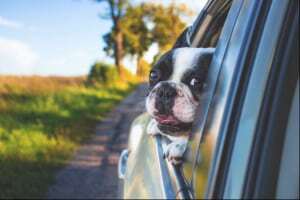 Barking dogs, loud music, domestic disturbances, and noises associated with the motor vehicles are amongst the complaints that are mostly reported to the police. So how do the noisy neighbors impact the value of your house? Well, they can cost you as much as $20,000. There are people who suggested that talking to errant neighbors to attempt to come up with a good solution for the issue. They suggest that you approach as when he or she does not have an idea that there is a problem. Just stay friendly and calm. When it does not work, you can visit the neighbors again and remind them about the issue and say that you are hoping all of you can have the problem resolved without the assistance of the police. When you think that the confrontation might become heated as something or someone can add fuel to the fire, send the warning in writing and please be friendly and polite. Have the copy to be sent to the noisy neighbors with a duplicate of the local noise policy which resolves the noise issues. Unluckily, the short of calling and getting in touch with the police or suing the neighbor within the court of the law, it is possibly the best thing that you could do so as to get the loud and noisy neighbors to desist and cease. Keep in mind these things and rest assured that you will be on your way to getting your property sold without doubts and problems to come along. 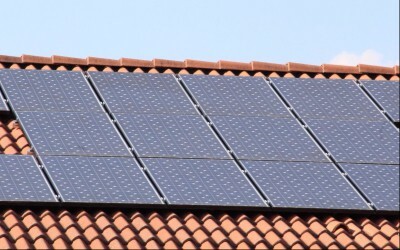 Solar panels provide a great help and usefulness to many people because of their unique performance and benefits. Most of the time, people tend to look for experts to do the solar panel installation for them. But in the present, they can already make their own solar panel and have it installed in their home. Making homemade solar panels has been made easy and convenient so that everybody can do it by themselves even if they are at home. 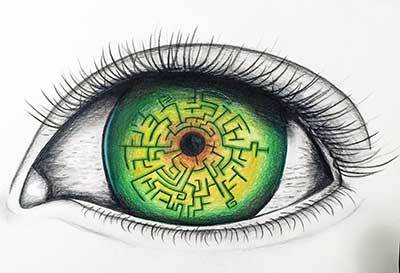 If you want to try doing it yourself, then you have to continue reading and bear in mind all the details given. 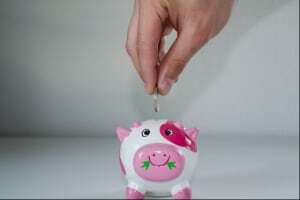 In fact, this can help you save money in the long run. However, before you are able to experience this, make sure that you know how to make solar panels. If you really wish to save more money on the system of your solar power at home, you should learn how to make DIY solar panels. It is more affordable than purchasing these panels. There is no need to worry if you are not knowledgeable about DIY solar panel installation. The truth is that it is not actually difficult to do. Solar panels have the ability to not only reduce your electricity bill but also increase the value of your home which helps you to sell your house fast in Phoenix. Installing a solar panel can literally save you a huge amount of money during the lifetime of your mortgage. Compared to $50,000 that you may spend on a professionally installed solar system, this is a small price to pay. The investment made in your home also has the ability to pay off in the short run if you sell before you have paid off the system. Think about how many people will pay a premium for a hybrid car despite knowing that they will get lower performance. People are paying $10,000 or more for a hybrid of a similar model with better performance. There is a wow factor associated with solar panel. They say that for each dollar you put into landscaping, you get two back on the sale price of a home. A solar panel system has the same ability to bring you a return. Aside from being able to command a higher price, you will have people living up to buy. This can be very nice in a soft housing market when other homes are staying on the market for months at a time. The solar panels will increase the number of interested lookers and buyers thus creating more interest and eventually leading to a sale. If you are interested in installing a solar panel in your house, it is risky to do the work yourself and save some money and you may run into administrative issues with building permits and electrical hook up problems. Not having a professional to do the installation could also compromise the warranty of the system or create difficulties with financing. Doing your part to clean up the environment is an admirable thing to do and installing a solar panel system is an excellent way to make a big difference especially if you want to sell a house with solar panels. Perhaps the market is quite soft or that your house is relatively unique and it is not appealing in the eyes of most homebuyers you meet. No matter what the reason is, you are considering making the pot sweet and enticing through offering your target homebuyers with owner financing. Before taking that leap, it is very important to understand what owner financing it and how you can accomplish that. Owner financing is putting you, in a role that is quite the same with what the bank or the lender has when it comes to traditional mortgage. You are entering to an agreement wherein the buyer is paying you every month rather than giving you the lump sum of money that he or she has gained through taking the mortgage out along with the traditional lender. Searching for a buyer who has been searching for owner financing is not hard. You could mention this to your listing agreement when you are certain that you would like to provide this kind of enticement, yet in all likelihood, the buyer would approach you with an idea. You may like to jump in immediately with your both feet. 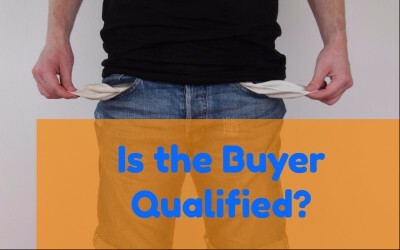 You should take time to figure out correctly the reason why the homebuyer needs or wants owner financing. There might be reasons why he or she cannot get mortgage from the bank. His or her credit might be poor or that he or she has not been in his or her recent job for a reasonable amount of time to get qualified, yet the person really likes your house now. Ask the potential buyer to complete the loan application then carefully investigate the details included. Carry out a credit check and look into those references and verify earnings and employment. Do everything that the traditional bank can before giving approval on the loan. You are still entitled to and you must ask for the down payment, simply as the homebuyer will pay with traditional mortgage. The difference here is that you get more flexibility and freedom to talk and negotiate about the amount which will not be a problem with the banking institution or government regulations. It will be up to you and this may depend on the amount of cash that you have to take out of the deal so as to comfortably move to another house. 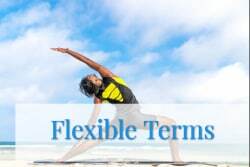 Simply put, being flexible will help you to sell your house fast in Phoenix and the surrounding areas. Owner financing is usually short-term and you do not like to be collecting on your home sale for the rest of your life. 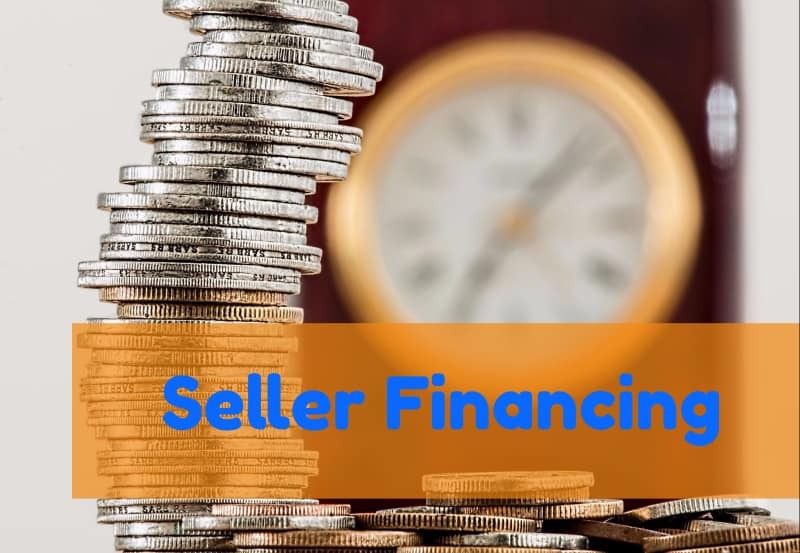 Owner financing is normally for the periods of around five years with the interest amortized throughout 15 to 30 years, yet with the balloon payment which efficiently calls the loan due within its sum on a much shorter time. The buyer will ultimately refinance the real estate property for paying you off in the end term of your loan agreement if the balloon payment comes due. When you have decided to go with such type of terms, ensure that they are spelled out correctly and clearly on the loan documents that you have. Selling your home is a daunting task if it is done without a real estate agent. However, if you choose the right method and follow all the steps you can actually end up saving a large amount of money that you would have given as a fee to the real estate agent. The internet is a blessing to humanity. All things are possible on it. Sitting in the comfort of your home you will be able to put your home up for sale in a few minutes. However, you do need to keep a few things in mind while doing this job. Moreover, you need to be extra cautious because after all, you do not have the type of experience that a real estate agent does. Many circumstances can make selling your house with an agent challenging at best or impossible at worst. For example, what if you don’t have much equity in your home? That means you’re probably going to have to pay your Realtor’s (agent) commission out-of-pocket. Let’s assume the agent commission is 6%, which means you’d be on the hook for $12,000 if you’re selling a $200,000 home. That’s a tough pill to swallow for many people, especially since that figure doesn’t even include the standard closing costs that a seller is expected to pay. That could easily add up to another 1-2% of your home’s selling price. The good news is that there is no law that says you have to sell your house with the assistance of an agent. So for those who are in a situation that makes it difficult to enlist the help of a Realtor or for those that simply want to save the high price of the commission, consider the “do it yourself” method of home selling. Here are a few tips to get your home sold fast for a reasonable price without enlisting the help and cost of an agent. Perhaps the most important factor of selling your house is pricing its rate. In order to price your house competitively, but fairly you’ll need to do some research. Our Home Valuation tool will allow you to see what other homes have sold for in your area. Find the 3 to 5 homes most similar to yours and use a price that falls somewhere in the middle of their asking prices. For a second opinion, you can enter your address on a site like Zillow.com and see their estimate of your home’s value. Smart real estate agents pay for access to tools that are not available to non-licensed professionals. These tools give agents, like me, real-time data. In other words, we get today’s data (not last months). This could mean a lot in terms of dollars. If homes go up 4% in a $400,000 neighborhood that can mean as much as $16,000. That could be money left on the table. 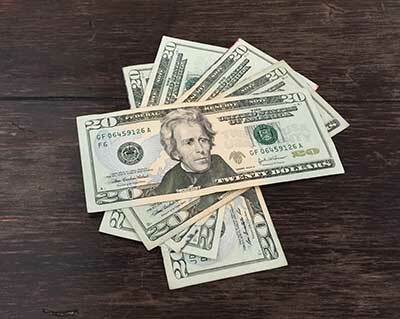 Money that you could use to have a powerful team like mine to get your home sold. It’s just something to think about. Price will help get potential buyers to your home, but how it looks determines whether or not they make the next step. Curb appeal is the first area that needs to be addressed. When a buyer sees your home online or drives by it, how the front of your home makes them feel can make or break your sale. Make sure your lawn is well manicured, shrubs trimmed, and entryway swept. 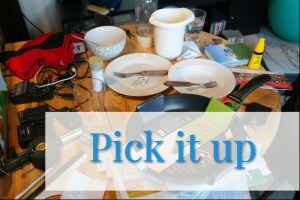 Next, you should thoroughly clean the interior of your home and remove all clutter. Lastly, be sure to make all necessary repairs including paint, carpet, holes in walls, and appliances. It’s also a good idea to offer your buyer a free home warranty from a company like American Home Shield. This will cover most of your home’s appliances and costs about $300. It doesn’t matter how well your home is priced and how good it looks if nobody knows about it. The first place most people begin their search for a new home is online. 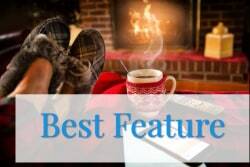 So make sure your home is prominently featured where buyers are looking. When advertising online, a picture is truly worth a thousand words. Therefore, be sure to take several high-quality pictures that show your home in it’s the best light. Consider listing your home on sites like Craigslist.com. You can also do a Google search for “flat fee MLS listing” to find local low budget agencies that will put your home on the MLS for a small flat fee without charging you any commission when your home is sold. Just remember that these discount brokerages will not provide the kind of support that a full service brokerage like eXp Realty will. You’re kinda on your own. These four steps should help you successfully navigate your way through the ocean of home selling while saving some money in commissions and fees so that you can move on with the rest of your life. We at The John Cunningham Team have developed a great alternative to the pure FSBO concept. The program allows you to market the home simultaneously with our team. In essence, if you generate a buyer lead who wants to buy your home while we both have it advertised you pay zero commission. There would be a small fee to cover our proprietary advertising. That’s it. There are several levels of help we can offer. If you find the buyer and want us to help with the paperwork there is an adjusted cost for that. You can handle everything on your own. If we find the buyer then we would earn our agreed commission. 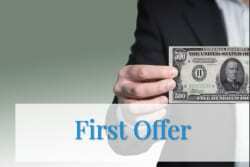 In either case you get the benefit of our upfront advice and online expertise which can draw in buyers from everywhere. There’s no cost for this. If you want to talk with us just give us a call at 1-480-442-3501. Great! 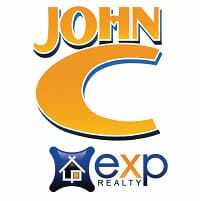 The John Cunningham Team eXp Realty Team serves the entire metro Phoenix market. We have agent partners in each of our valley cities who are specialists in your area. The easiest way to get the ball rolling is to start with a phone call. We can be reached at 1-480-442-3501. Lets jump on a call and talk about how to sell your house fast in Phoenix. We also meet at your property. It’s a smart idea. While we are there we can discuss marketing, values, and your plans for your next home. Here’s my calendar where you can schedule a time that works for you. This comprehensive guide will model how to sell your house fast in Phoenix. Here, we will go over strategies for getting the home sold for maximum dollars in your pocket.